Step 3: Fold in half to cover toppings and cook in a skillet on medium heat. Step 4: Let cook until there is browning; flip and cook other side the same way. 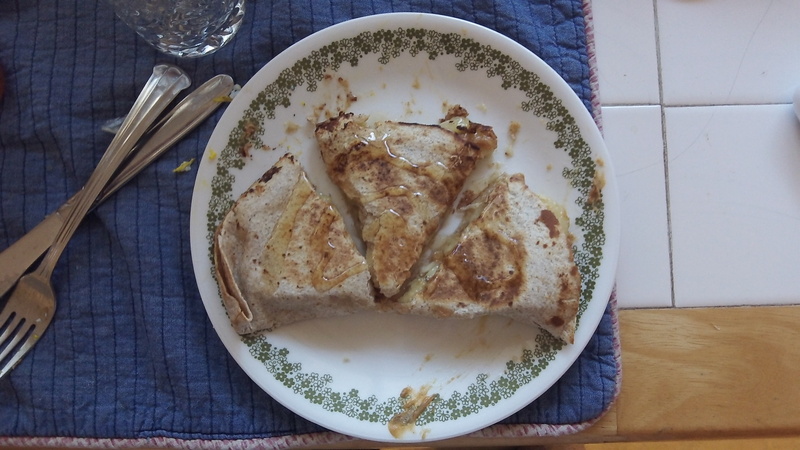 Step 5: Drizzle with honey and cut into easier-to-eat slices. Step 6: EAT AND ENJOY! I have seen an idea for chocolate chips inside with the peanut butter and banana; I didn’t have chocolate chips so I didn’t try that. I added honey instead for the sweetness factor. 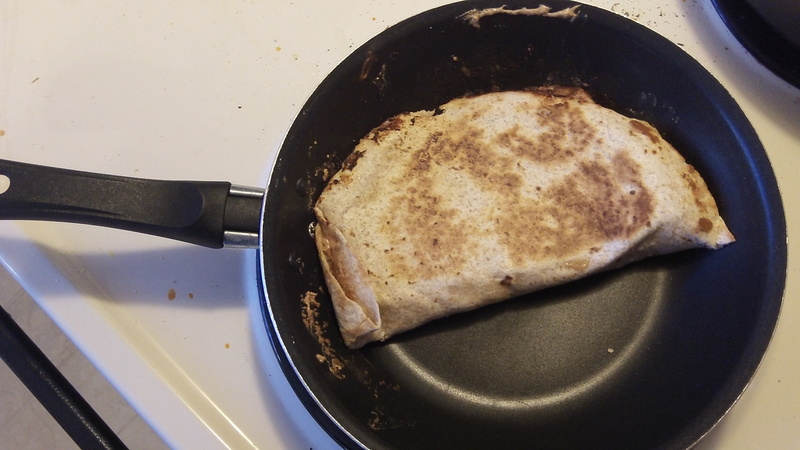 Have you ever thought of using tortilla shells as part of a breakfast? 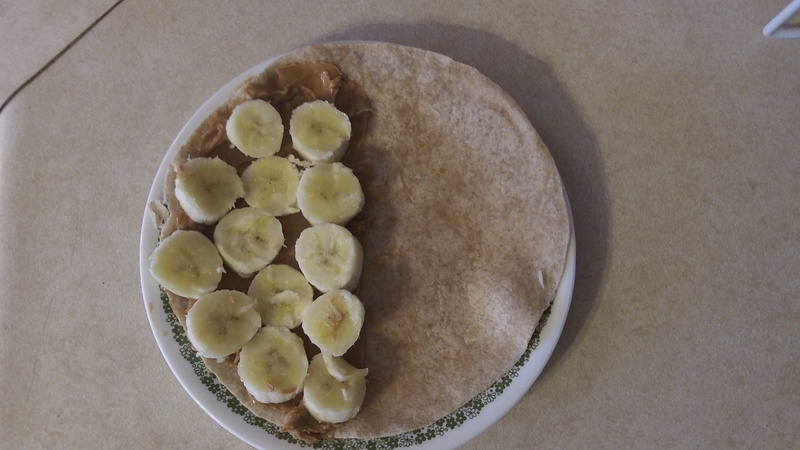 This entry was posted in Health, How-To, Recipe and tagged banana, breakfast, cheap, easy, fast, frugal, inexpensive, peanut butter, quick, recipe. Bookmark the permalink.